Since launching over 14 years ago GMI have paid out over $8 million in cash to their members. They currently serve over 1400 clients in 40 different countries and work with some of the world’s biggest companies. For your time you are rewarded with Marketpoints which can be redeemed for a $50 cheque or sent straight to your Paypal account. GlobalTestMarket (GMI) is an American company that offers paid survey opportunities to consumers from all over the world. They are one of the oldest market research sites having been founded in 1999 and since then have paid out over $8 million to their members. They currently serve more than 1400 clients in 60 different countries around the globe. GMI was designed to give you the opportunity to get paid for helping to influence global market research. By partnering with some of the world’s biggest companies your opinion will help to develop many different products and services that we all use everyday. You can also use their online surveys to learn about many products and services in a fun way. To become a member you must complete the registration in full and confirm your account by clicking on the link in the activation email. After registering you must login to your account and complete the profile surveys. By keeping your profiles up to date you will continuously receive regular online surveys which match your lifestyle and interests. As and when a paid survey becomes available it will be emailed directly to you. The average time it will take to complete each one will be around 20 minutes. For longer and more complex surveys you will of course receive a higher reward. For each online survey that you complete through the site you will earn Marketpoints and entries into Sweepstakes. The points that you earn can be redeemed for rewards once you have 1000 in your account. The Sweepstakes are drawn monthly and quarterly and the winners notified on how to claim their cash prizes. The primary incentive at Global Test Market is Marketpoints. The number of Marketpoints that you will receive per survey depends on how urgent it needs to be completed and how long it will take you to complete. As soon as you have 1000 Marketpoints you can request a $50 cheque. (£32) Cheques are sent out within 6 – 8 weeks from redemption and are sent in your local currency where possible. You can also request to be paid via Paypal. A Paypal payment is much quicker than cheque and you should usually receive it within a week. If you don’t have a bank or Paypal account you can take the option to be paid in Amazon or other gift vouchers. If at any time you are sent an online survey that you do not qualify for you will still receive a small reward for your time. To earn a little extra you also have the opportunity to refer your friends to the site via the ‘tell a friend’ form. For each friend that joins from your recommendation a further 20 Market Points will be added to your account. Ive been a member of this site for years. Up to now had a fair few $50 cheques off em. Loads of surveys available but does take a while to get your cheques though. Definitely one of the better survey sites. 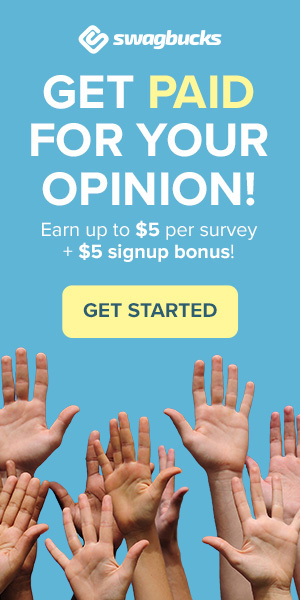 I usually get cash paying surveys from this site pretty much everyday. I have always been happy with Global Test Market but recently I have been screened out of 95% of surveys plus I completed 2 surveys and was not awarded my market points I contacted the customer services 7th and 12th of August and have never recieved a reply and there are loads of complaints on different sites complaining about GTM gone down in my estimation.